So I just got my new feet..
My aluminium feet was designed to retrofit the current Rega rubber feet. For the older models of the Planar turntables which had much bigger rubber feet, these aluminium feet would not be compatible, I thought. It never occurred to me that there's a way to install them, so I didn't attempt to try also. I was surprised to see how Marcel had done it. He shared with me "the secret" and the good news is: "Easy fix" according to him. And thanks to the wonder of online sharing, without which I wouldn't be able to post his ideas here to share with you! 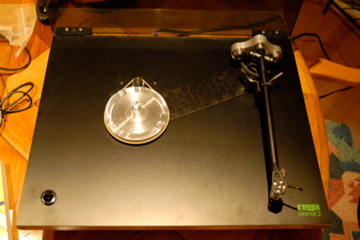 I have received your carefully packaged items and fitted them to the Rega Planar 3. Thank you for these beautifully machined items, they really enhance the aesthetic appeal of the deck as you can see in the pictures. My original feet were larger but fitted nicely with longer screws. With the top brace and 2mm spacer the threaded part of the arm base did not protrude enough for the nut to grab so I had a nut with an extended threaded sleeve machined and widened the opening in the base by a few mm to fit the nut. Easy fix. The improvement in sound is incredible. Pace, rhythm, deep base and clarity in the mid and high range are all there. 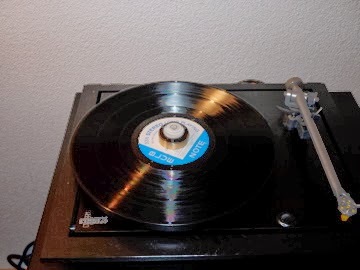 Even the so so flexidiscs from the 70's and 80's sound a lot better. The cartridge fitted is a modest Sumiko Pearl MM but a great combination with the arm. I did not expect the end result to be this good! I can thoroughly recommend your upgrades. They are also fantastic value for money. 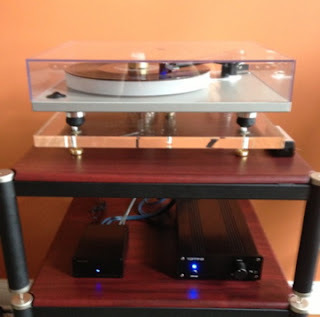 Comment from my local Hifi dealer: this doesn't sound like a Rega at all; much better! The bottom bracing was designed to increase the rigidity of my tired old Planar initially (both my own Planar 2 and Planar 3). But during designing stage, I had made allowance such that it could be used for other models like P1, RP1, P2, P3, P3-24, P5 and P25 as well. Turntable owners (P1, RP1, P2, P3, P3-24, P25 and P5) didn't have any problem fixing the bottom bracings so far and they were happy with the sonic improvement brought about. 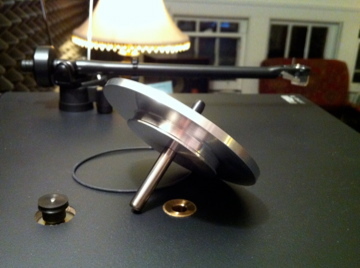 In fact, it's easy to do the job as compared to top bracing in that the tonearm was not involved. However, there were two turntables owners (a Planar 2 and a Planar 3) encountered problem in aligning the main bearing and the three screw mounting holes for the feet. This was quite unexpected as the mounting holes were assumed to be the same for all Planars. My apologies to the two friends who had to put in extra effort in getting the job done. With the feedbacks I was able to make bigger allowance for future orders so that you won't face the same problem. 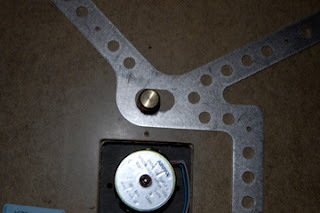 Walter of California of USA, (the Planar 2 owner) had sent me pictures on how he filed a bit of the main bearing hole on the bracing in order to get the bracing fitted to his Planar. I must thank Walter for his invaluable feedback which is very helpful to all of us. 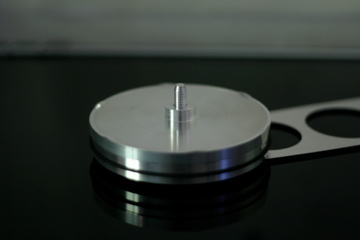 I already have a metal sub-platter with sapphire bearing , acrylic platter, metal end-stub and counter-weight from another supplier. They were installed a long time ago. I just found your website recently. As you know, so far I have installed the Top and Bottom Braces, the aluminum feet and the cork mat with the VTA spacer. I had some problems with the Bottom Brace. The holes for the feet would not line up. They were off by approximately 1/4 inch. It seems that Rega drilled them a little off from the normal template. I sent you an email about how to rectify this but did not wait for a reply as the hardware stores were closing early due to the July 4th holiday. I decided that I should file away some metal around the bearing housing and had to run quickly to the hardware store to purchase a file I got everything I mentioned installed. I can send you a photo of the filing job if it would help someone else in my situation if you want. 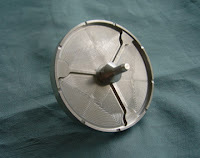 I can remove the nut and washers on the bearing housing when I install the motor isolation base. I am waiting for a pulley puller because I do not want to pull on the pulley in case something happens to my motor. 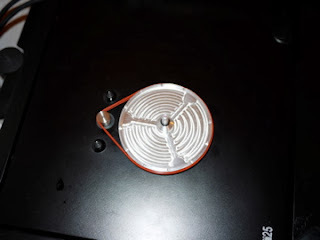 I did listen to the turntable right after the installation but everything was cold and I did not think it was the best way to audition the upgrades. Last night, I decided to some serious listening to the Rega Planar 2 after I installed some of your upgrades. I find everything is clearer with tighter, more controlled bass. The instruments are more focused. The voices are clearer and more natural sounding and the music seems louder than before at the same volume level. If this is what happens with this part of the upgrades, I cannot wait to install the dual pulley and motor isolation base. Thanks for these upgrades. They are definitely worth the cost. 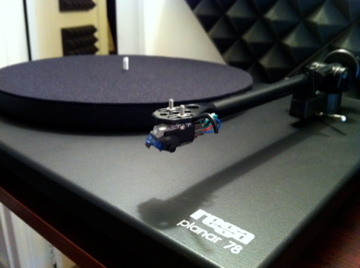 Sometime ago, Don C from USA wrote to me about "upgrading" his Rega Planar 78 to P2. Could it be done? Yes, pulley and sub-platter assembly was the trick and the procedure was straight forward, I told him. 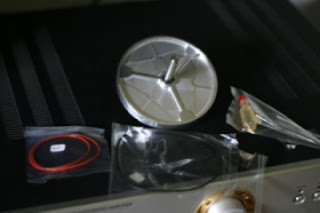 Don carried out what's necessary to his Planar 78 TT as proposed immediately with my dual pulley and aluminium sub-platter. 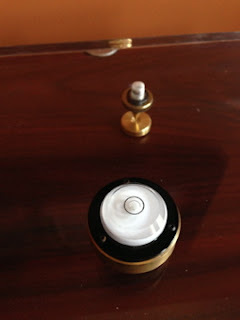 He was happy with the result and he shared his experience in Audiokarma with pictures. Recently, there's another enquiry on the same issue. I told him about Don's story and solved his problem. I think there might be more Planar 78 owners who wish to go the same path so that they can spin 33/45rpm lps at the same time. Therefore it would be good to include here a link to Don's post in Audikarma as a reference for them. Don C posted in Audiokarma.org : Rega Planar 78 -> P2 upgrades or " Throwing Money at a problem"
The only problem was that I had this (expensive) dedicated 78 player that was getting no use and I couldn't seem to sell it for anything close to what I had in to it. I decided that if I had to take a bath on it just to get rid of it (I couldn't manage to sell it for price of the tonearm alone; go figure. ), I might as well keep it and throw money at it, instead, as it already had a P2 plinth, RB250 tonearm, 12" platter, and P25 motor assembly. Also a satisfied Michael Lim upgrader here. 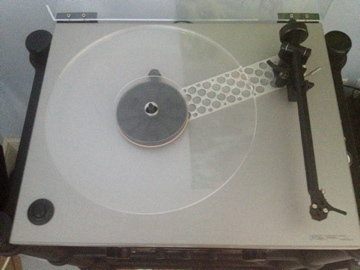 I have a Rega P78 that was not very useful as a 78 only player. 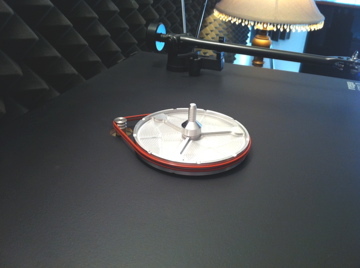 I converted it to 33RPM by ordering a new dual pulley, dual belts, new aluminum subplatter, and acrylic platter. 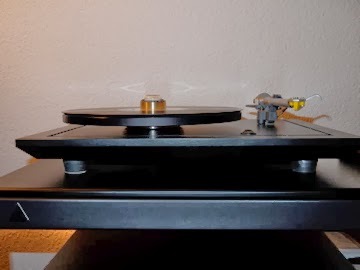 I added a Nagaoka MP-500 for LP playing. Switzerland, one of the richest countries in the world, is not unfamiliar to me. Being an avid watch collector, I am always fascinated by this country because of my passion in watches. And "Swiss made" is always my first choice. Switzerland not only produces fine watches, it also dominates the world in the watch industry. How about turntables? 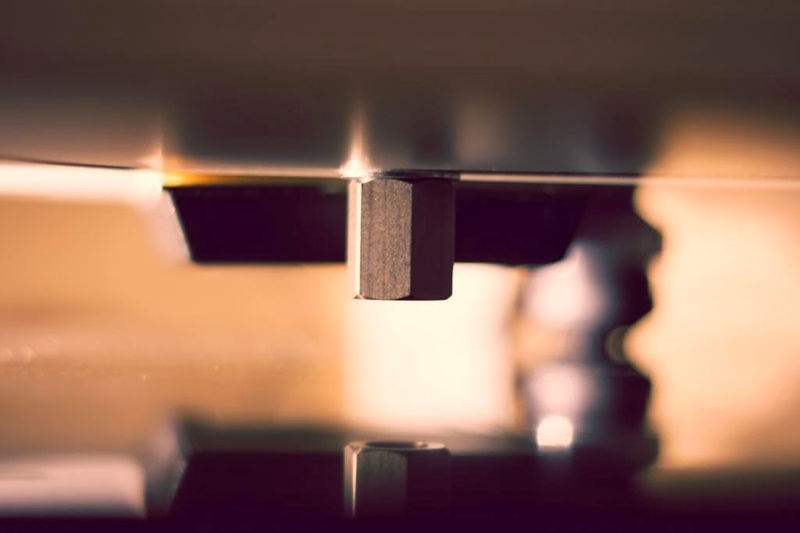 Thorens and Lenco are some of the best known names in Swiss-made precision turntables which are ubiquitous around the world today. Though Lenco no longer produce the famous idler drive TTs' like L75, these vintage turntables are still very much sought after by analog connoisseurs. Besides, it's such a beautiful country.... the Alps .....the snow ...... Sorry, I am a bit carry away and going a bit out of point. Actually my intention is to introduce to you our friend from Switzerland, Ulrich Peyer. 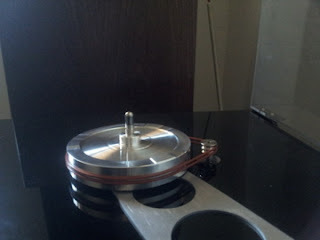 I just completed the installation of a metal sub platter, a metal pulley and two new belts. It took several hours to run in until the record speed was stable. The sound is also more relaxed, before it was more nervous. 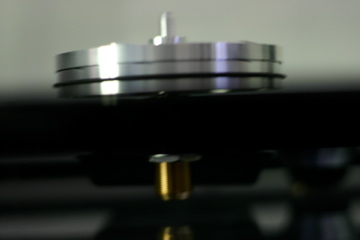 The record clamp also gives more detail. I got a lot of quality for very little money. 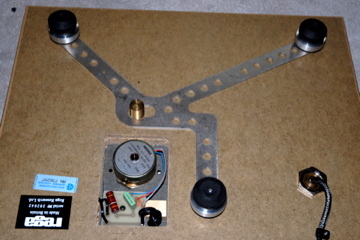 Later I will mount the P25 on the Rega wall mount. On the attached prictures it still is placed on a lovan classic rack, which according to Rega is not a very good idea. I wanted to share my results of my upgraded feet and bearing nut I bought from you recently. In all honesty, I bought the feet with the intention that it would be a visual enhancement. 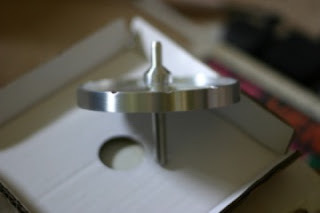 After having upgraded the original platter to a substantially heavier acrylic one, the heavier-duty bearing nut you provide seemed like a good buy aswell, no more anxiety over unneccesary wear and tear on the bearing. I wasn't really expecting a sonic upgrade after mounting the feet, which by the way was easy as pie and took a couple of minutes. But to my surprise, I experienced a slightly more focused sound with a bit more clarity. I've been playing records for a couple of weeks now with the new upgrades and I do appreciate the improved sound and I absolutely love the look of the turntable now, it looks luxurious. 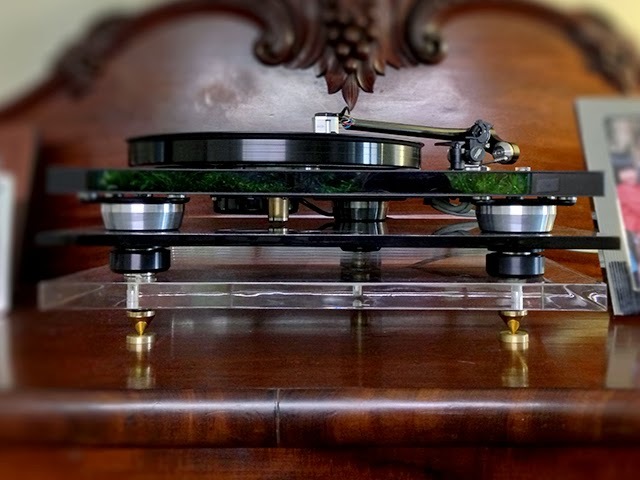 I attached some pictures of the turntable with the upgrades for you to enjoy. Thanks for the well-sounding and amazing looking tweaks and the excellent service! 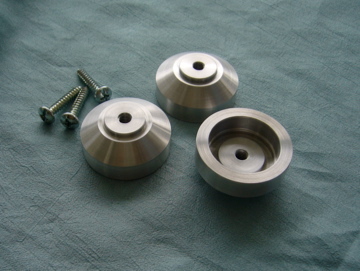 I ordered a new set of aluminum feet from the Rega enthusiast Michael Lim, along with a new bearing nut. I just wanted to share my results with you. Since my acrylic platter is way heavier than the original platter, I figured why not improve the rigidity and hopefully dissapate some of the vibrations. Thats why I threw in the bearing nut in the order, but I was aiming for the feet. I mounted and installed both upgrades in minutes and the results are stunning, at least to me. Been listening to some records for the better part of the evening and I can't decide whether I'm experiencing placebo or this actually made a difference in my setup. The sound seems clearer and more focused to me, in lack of a better description. In all honesty I didn't even buy them expecting a sonic improvement, I just thought they looked amazing. 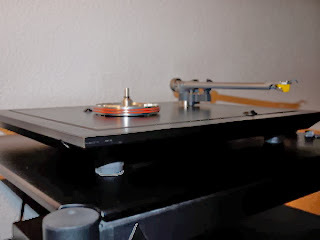 I'll have to give this some more listening to be sure, but to be clear, I love the elegance they bring to my simple Rega. Alright, back to listening.. 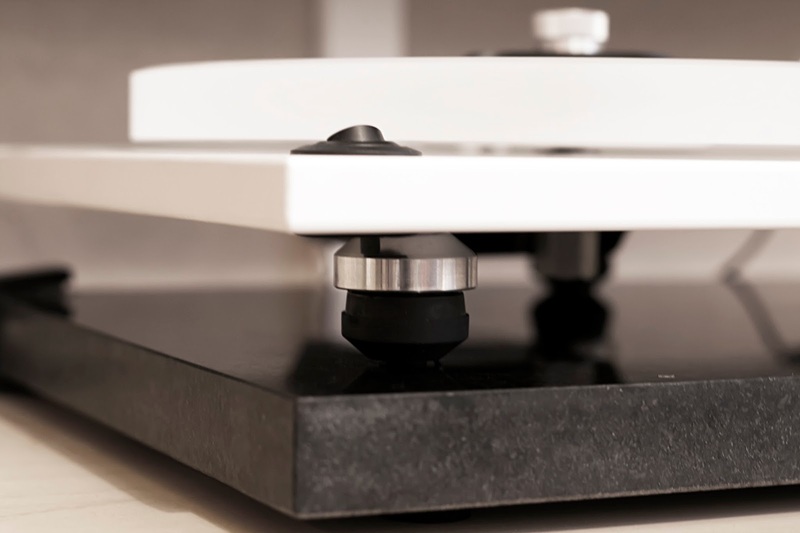 So don't under-estimate the "potential" of your stock Rega TT. Enjoy tweaking! It has been a while since I bought the double pulley from you. I received the platform and it solved my tt's problem with foot falls. Wonderful! Thank you for a beautifully made platform. RP8! Looks stunning, isn't it ? 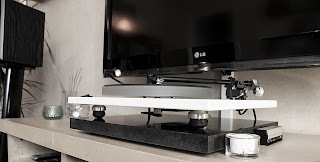 Here is a piccie of my RP8 sitting on top of a black acrylic plinth supported by Tritonaudio NeoLev magnetic levitation dampers, on top of your platform. The NeoLev wasn't working without your platform. I am glad that L.Kim is now able to enjoy good music on his RP8! Some say they like it that way - that's "Rega sound"! Enthusiatic tweakers around the world ask if a bigger sub-platter would help to change the speed of their TT's slower? 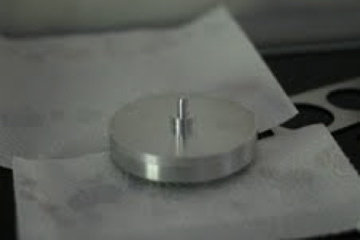 Yes, of course; speed of a belt-driven TT is dependent on the diameter of the sub-platter. So increasing the diameter of sub-platter is one way to slow down the TT speed. In my tweaking path, experimenting on a bigger sub-platter to slow down the speed of Planar closer to 33.3rpm/45rpm is possible. At the moment, other than the standard sub-platter ALSP1, I have also made this bigger version ALSPB available for those who would like the speed of their TT's to be slower. 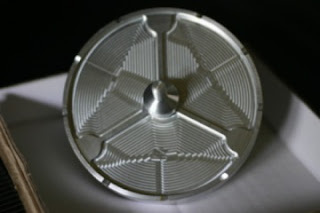 This ALSPB sub-platter would slow down your TT speed a bit bring it closer to your desired speed though I can't guarantee "exactly" 33.3rpm/45rpm since there are other variables which would affect the TT speed as well. Thank you very much for the very quick delivery of the sub platter. I received it june 28th, i.e. within 10 days after you sent it to me. A few days ago I installed the platter on my P25 without any problems thanks to your adequate instructions. The following days I let it run in as you advised. My first impressions are of an amazing improvement. It is the best tweak I made to my Rega. And I did a few in the past years. 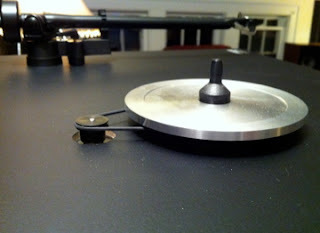 I began tweaking – as so many Rega owners do - with experimenting with several sorts of platter mats on the much discussed glass platter. My experience in the end is that the original mat made of wool – but not the felt mat – used without any pressure of a weight or so gave the most satisfying results, i.e. if you do not want to change the platter itself. Nevertheless I myself chose to change the glass platter because there always remained some hardening of tone which I ascribed to the glass material as such. That was the beginning of new road, the road of changing the player as a coherent concept by substituting vital parts, of which some say you never must do with a Rega. But I did, just out of curiosity and as a quest for seeing myself what can be done step by step. So I substituted the glass platter for an acrylic one (which did a good thing), the P25 motor for the Rega 24 volt motor upgrade with PSU in combination with changing the belt for an so called white belt (the effect of which was marginal in my setting), the RB600 arm for an Origin Live Silver in its latest incarnation (a Rega derivative type of arm with a very clever VTA adjustment which I wanted. A definitive improvement in combination with my Lyra Dorian), and latest the phenolin sub platter for your aluminium sub platter(the model one that slows down the rotation speed a bit). As I said in the beginning this change made the most influential improvement, next to the arm change to be fair. The sound is absolutely steady now (runs a perfect 33 1/3 RPM), it’s very clean and much more open and dimensional than before. I read in the commentaries on the fora that the effect of this change could be substantial and I can confirm that wholeheartedly. It did more than I expected. It is a cliché to say, but my Rega plays in an another league now. I cannot judge on the other available sub platter substitutes on the market, but I can say that your making looks to be the most like the original so can be expected to fit in all situations without problems, is very beautifully and accurately made and has the option of two models (diameters). It performs in any case absolutely stunning. Last but not least it’s not the most expensive. That’s for the moment. I will try to send some pictures in due time. Since adding your mods I have to say that my enjoyment of listening to my new and old LP's has been a very enriching experience! I am hearing details and layers of sound that I have never heard from the music in those grooves before! I can say that my "Lim" modded RP1 is no doubt the finest sounding deck that I have ever owned. Thank you! I also upgraded to a Rega RB 300 tone arm with an Ortofon 2M Blue. However it is now time for my "Fall Project"! I am adding an additional sub woofer to my pair of vintage Spica TC-1's for more detailed low end sound and more soundstage depth. 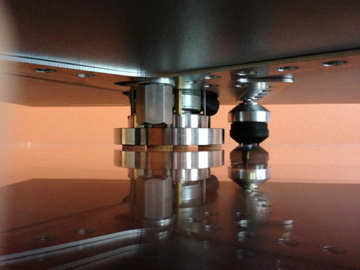 In addition, as I mentioned above I would like to order your acrylic isolation platform to fully round out my system. I'm hoping it will help with the "Rega plinth isolation problem"; something that has been on my mind lately as needing to be addressed. Im looking forward to adding it to my RP1! 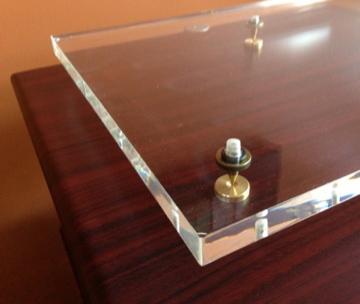 I received the Acrylic Isolation Base last Friday, September 13th. It shipped very fast, thank you! I added it to my RP1 the next day and have been listening to it with the isolation base in place for several days now. I have to say the improvements in sound are not subtle! I thought initially that the base would help with a quieter background, with the plinth separated from my TT stand, however it does much more than that! I am very pleased with the sonic improvements as well. Not only is the background now dead quiet but in addition the soundstage is more defined. Instruments and voice presentation seem like they have had a veil lifted from them and are now more dynamic; I hear more detail then before. The bass is tighter with more "punch". All in all, I would highly recommend the Acrylic Isolation base to your readers. As icing on the cake, I also think it's a great companion mod to the Motor Isolation Base as well, since it gives you the option of having the Motor Isolation Base rest directly on the Acrylic Base to form a unit, thus not needing to be concerned about moving the deck along with the isolated motor moving from it's position. As I continue to listen to my LP's Im re-discovering them with my "modest RP1", which every step of the way, has been improved with each addition of your mods. I have sent along some photos below to show more views of the base for your readers. Isolation base unpackaged and in position on my turntable stand. 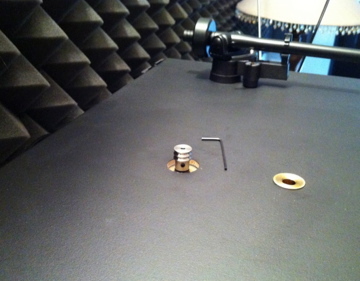 Making adjustments for leveling is very easy with the adjustable threaded spiked feet! 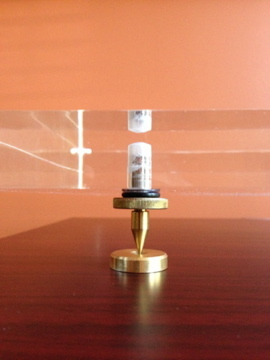 Leveling adjustments complete, brass center weight (a separate product) shows bubble in dead center. RP1 in place on the base. I placed cork footers under the Motor Isolation Base (separate). 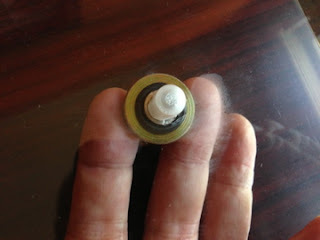 Adding these makes the motor and base virtually unmovable on the acrylic base, making for excellent stability! I can now lift the motor and base as a unit, although there are other options for this. Listening tests begin, already hearing the benefits of using the Acrylic Base! Someone said " Without music, life is a mistake." Amazing... music is something amazing in life that we can't live without. At least for you and me! The reason that we have a chance to meet up here is simple - we share the same passion in music ... in analog music! Not only passion in analog music, but passion in tweaking turntable, seeking analog "nirvana"... and people might just call us "nuts"! 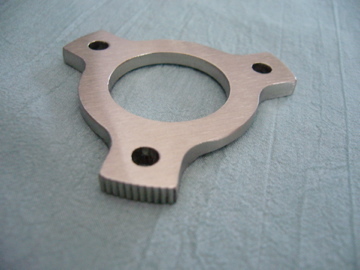 Others may not understand, but we can definitely tell the difference when each new component is added to our TT. I finally sorted out the feet on my turntable and combined with the vta spacers. I have to say it was definetly worth the effort! I don't have the technical vocabulary to describe the sonic improvements but as a keen record collector since 1978 I know 'my' music extremely well and the improvements due to your upgrades are in some cases significant! So thankyou Michael! Great products! The bass is deeper,the background is quieter and on some recordings there seems to be a lot more detail to be heard. In particular there is far less vibration to the plinth. Amazing to think that a couple of 'tweeks' can make such a difference! I have always recommended the use of motor isolation base in our Rega TT's as the "treatment" for "motor vibration syndrome". This idea is not new I would say; it's very similar to those high end TT's with outboard motors whereby the motors are isolated from the plinth. You may be doubtful about the effect of this tweak, but many have tried and are happy with the significant sonic improvement. I am thankful to know that this particular piece of motor base has finally served it's intended purpose and become another man's treasure! I emailed you a bit ago about getting a subplatter. I'll be ordering that this week, but in the meantime I wanted to send you my thoughts on an isolation base that I picked up used from a fellow who couldn't use it in his rack system. The longer version: That's the kind of upgrade I'd expect to cost me several hundred dollars. I'm stunned by the sound that's coming from my Planar 2 now. I really liked this table before, but the pitch wasn't perfect due to the speed instability partially caused by the standard motor mount, and the background wasn't as quiet as my two suspended tables. With the addition of the base, now the pitch is close to perfect (to my ears, at least) and the background is just as quiet as on my AR or Thorens. Additionally, there's a whole new weight to the instruments: there's more air around each, and their position in the soundstage is much more defined. I'm simply blown away. It's a whole different table now. I can't wait to get the subplatter and pulley (which you recommended and makes sense to me), and while I'm at it, I'm planning to do the top brace, too. 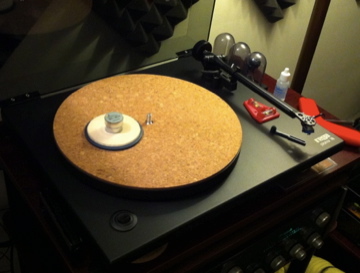 My Rega is now *the* table out of the half dozen that I own. I got the subplatter installed a couple of nights ago and it's fantastic. The biggest improvement to my ears was better separation in the bass, and overall more impact. I love it. 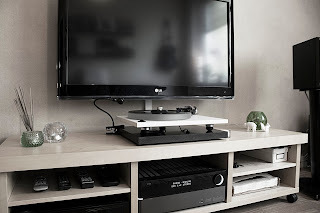 Danielboone of United Kingdom has a Rega RP6 and a Planar 3. That time when he approached me on the availability of aluminium subplatter for RP6, I was still cracking my head on the design of this new sub-platter; not only it must be good, but also value for money. It's important not to burn a big hole in your pocket so as to obtain WA(wife approval) easily and quickly. And I was even more anxious then to get WA myself for acquiring my red hot RP6 to do the testing! In fact Danielboone was the first UK RP6 owner to try out my ALSP6 aluminium sub-platter. I am glad that he found ALSP6 a positive upgrade. 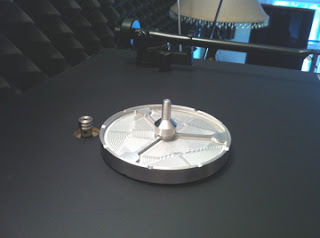 Another point to mention is this sub-platter could be used on his Planar 3 too(without the cap). In short, it's really flexible for those RP6 owners who have another standby Rega TT. "Michael's upgrade subplatter arrived and fitted. Having listened for a couple of hours ,I am amazed at the difference.very little surface noise, some crackles and pops gone. Vocals are crisper and the bass is tighter, instruments more audible, the overall effect is more togetherness and very acceptable." Tweaking turntables is interesting; once you get started, you would naturally move on from one phase to another. Sometimes it's hard to stop; isn't it tempting and exciting to try out new tweaks for greater musical enjoyment and satisfaction? 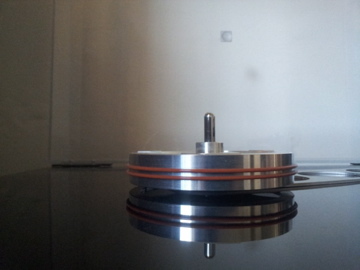 "... when I did the "vibration test" to see if I could feel any above the motor I noticed it oscillating a little bit.. " He explored further and asked if any Rega RP6 owner had tried on my idea of "outboard motor" isolation? overall from what I've experienced dealing with you and installing the dual pulley you are very easy to recommend. This is Nick's (from Bristol, UK) first upgrade. Only the aluminium alloy top bracing and no other variables. So any change to Nick's TT performance would be solely due to the addition of this top bracing. And what has he discovered? Sound wave theory is some complicated physics that we tweakers might not be able to figure out exactly. But don't worry, we need not have to be physicists here to explain and to tweak; it's instinctive that we can tell if the music sounds nicer or not after any tweak. That's why I always say let your ears be the judge! Top brace received & installed last night (I received it last week but only just got round to installing!). Have just spent the best part of 6 hours listening to vinyl this morning and every record I play on it sounds amazing! I'm afraid I'm not very descriptive when it comes to music but I know when it sounds good! Very happy with the brace and will be coming back to you for more items when funds allow.